The people of my generation were simple, perhaps even stupid. The women were simple, the men were stupid. The women did not know there was a world beyond the mountains, the men did not want to know there was a world beyond the mountains. The village paid a slice of what little food they had to a mullah to teach the children to read the Quran. Only the boys got to learn to read, the girls did not. This was acceptable, but proper schools were hated. People were stupid, I can not even tell you how stupid they were. An outspoken girl was looked down upon; such a girl was considered to be a bringer of shame to her family and to the village. Khalifa’s daughter Feroza went to the government school in Tameer along with her brothers. Abdul Karim liked her. He wanted his parents to ask for her hand in marriage for him. He loved her, and came to your grandfather to ask him to put out a good word for him. Who in their right mind would marry an educated girl! She goes to school. She could not be a good girl. You will not be able to show your face to the people. He kept talking about it, and scolded him until he changed his mind. 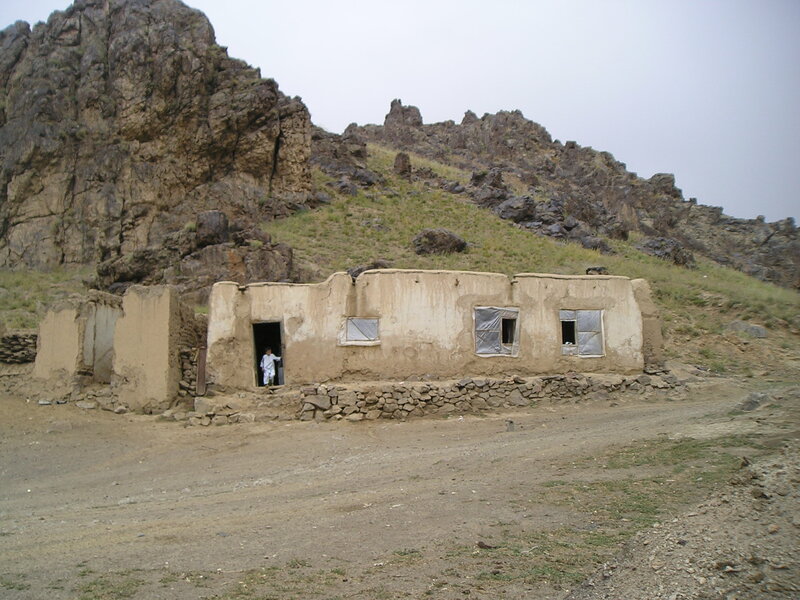 The government at the time tried to force the villagers to educate their children. The government sent police to the village to force people to send their kids to school. The land owners paid them off and prevented their children from going to school. The poor villagers had to send their kids to school. Today, in this day and age, the children of those poor families have good lives and good education. The children of the land owners have little to nothing. I told you that people were stupid. They made life bad for themselves. The grooms, adorned in madrassi turbans, sat on the first horses; the brides, covered in bright green shawl, on the second ones. The procession had traveled from Dawood to bring to their village two sisters from Koshay Daala. Our little village just happened to be on their path. It wasn’t every day that a wedding procession passed through the village. They beat the hand drums, and the sound of the drums got closer and closer as they approached the pass. We heard the drum, and like the other young girls from the village, we rushed to the direction of the pass outside the village. We saw the first few horses leading the procession, and then people on foot and luggage loaded on donkeys. There might have been 30 people, all well dressed, but appearing tired and covered in dust. There was a tradition back then. Some kids held hands to form a chain and block the path of the procession to ask to be paid to allow passage. Some boys lit little fires on the path, and did the same. The girls and women of the village did not ask for money, but instead, they lined up and each asked to see the face of the bride as a charge for allowing passage. We lined up, and waited for our turns. I was with my friends. We stood in the queue. Our turns came, we lifted the veil of the brides, looked at their faces, ran back to our own little groups, and spent the rest of the afternoon giggling and laughing about how ugly those two sisters were. We were kids, mean kids. Sometimes the difference between a smart person and stupid person becomes clear when they have to face change. The same applies to a people, and a tribe. Our people have usually been stupid. They made stupid decisions. We are still paying for it. 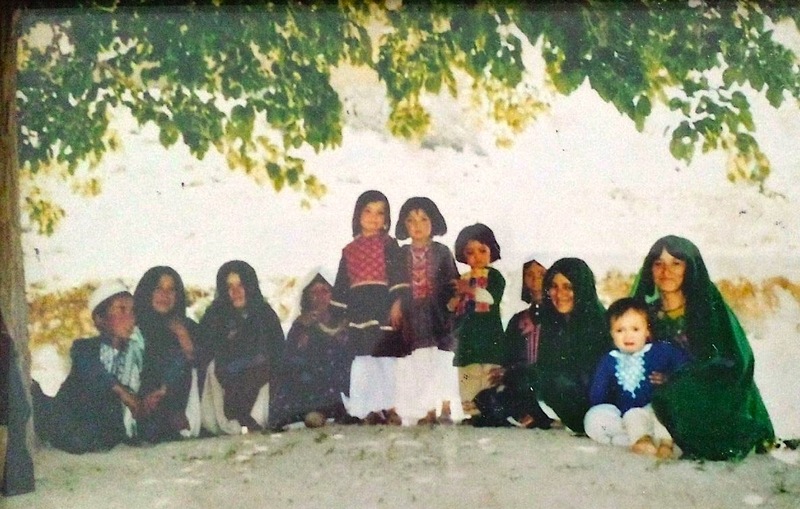 My parents told me many stories about Hazara elders who were taken away, pushed off a cliff, or stoned to death. The elders were taken to jails run by the kings’ men. They were put face down on the ground, covered under a shawl, and then pelted with rocks by tens and hundreds of people. One of your ancestors, not sure which one it was, was taken away by the king’s men. They made him dig a hole in the ground, and then buried him in it chest high. They pelted him with rocks until he was covered in blood and wounds and dust. He was buried under a pile of rocks. They assumed he was dead and left him out in the open to be consumed by wolves and jackals. The man was alive. He must have been very blessed. In the darkness of that night, he crawled out from underneath that pile and escaped into the mountains. He lived, and made his way back to the village. He was the only survivor the old villagers knew. Every year the king sent polooss to the villages. They brought with them orders, tax demands, and a lot of terror. The polooss stayed in the best house in the village, and only the bravest men in the village went to speak to them and serve them food. The people had to comply with his orders and demands – an entire village surrendering to a single polooss, that was us. There was usually one tax on the harvest yield, another to pay for polooss’ journey, another for each head of cattle, and another if the king was at war somewhere. The tax was rarely collected in currency, and usually in the form of butter, wool, jewellery, cattle, crop-yield, and other valuables. If a village refused to pay, the king sent more polooss armed with sticks and guns. A visit from the polooss forced villagers into the hills. Some families hid in their homes, many just picked up everything they could and run up the nearest mountain. Our hills and mountains have always been our protectors. Years passed and the king was deposed. A new king came to power. There was a change. The king’s men came into the villages to open schools. They made it compulsory for girls and boys and men and women to go to school. The people complied. The mullahs preached against it. They said the schools were there to turn people into communists and non-Muslims. The mullahs kept preaching against education for women and girls. They preached that girls were being sent to school to be turned into prostitutes, the boys to be made into communist soldiers. The people believed the mullahs and turned against schools. They bribed the polooss to keep their children out of school. I know of a family in the village who handed all their wheat-yield for the year to the polooss to keep their son out of school. We were afraid. I buried a Quran in the fields because the government was taking away people found with Quran. In some areas the villagers burned down their schools and killed the teachers. In other areas, they declared jihad against the government. People said they would rather die than send their girls to school. And in some places they did that – they died but did not send their girls to school. Instead, many sent their girls and boys to the mullahs. Some of the mullahs then mistreated, assaulted and raped their girl students. Interestingly, those few who were too poor and weak to take their children out of school were lucky. Their children became teachers, pilots, engineers and soldiers. What was the result of all of that! The result was that many generations of our people, all of us remained illiterate and uneducated. We did that to ourselves. We had no access to schools for a generation and more. We burned down the schools, we killed and chased away the teachers, and brought in the mullahs. Our world was confined to the valleys of the mountains. We turned our backs to change and to the rest of the world. Our people became stupid. We suffered for those mistakes. We are paying for those mistakes.